As a breed the Cornish Rex cat history begins in Bodmin Moor, Cornwall. A woman named Nina Ennismore owned a tortoiseshell cat named Serena who gave birth to a litter of five kittens on July 21, 1950. One of these kittens had a very unusual red and white curly coat. 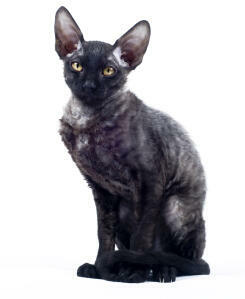 The kitten was named Kallibunker (Kalli) and is now recognised as the foundation cat of the Cornish Rex breed. When Nina took Kalli to the vet she was suggested to contact geneticist A C Jude. He advised she mate Kalli back to his mother (Serena) as this had the best chance of keeping the genes for the curly coat. This breeding produced three kittens. One was a straight coated female the other two curly coated males. One of the male kittens died at 7 months old but the other who was named Poldhu (along with Kallibunker) went on to sire many litters. 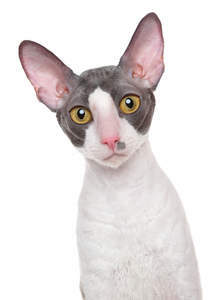 A very small gene pool meant that the Cornish Rex cat was classed as an endangered breed during the 1950s-1960s and it became necessary to carefully outcross the breed in order to widen the gene pool but keep the special Rex coat. The Cornish Rex is a confident and friendly cat breed. They are very sociable, like to be a part of the action and thrive on human attention. 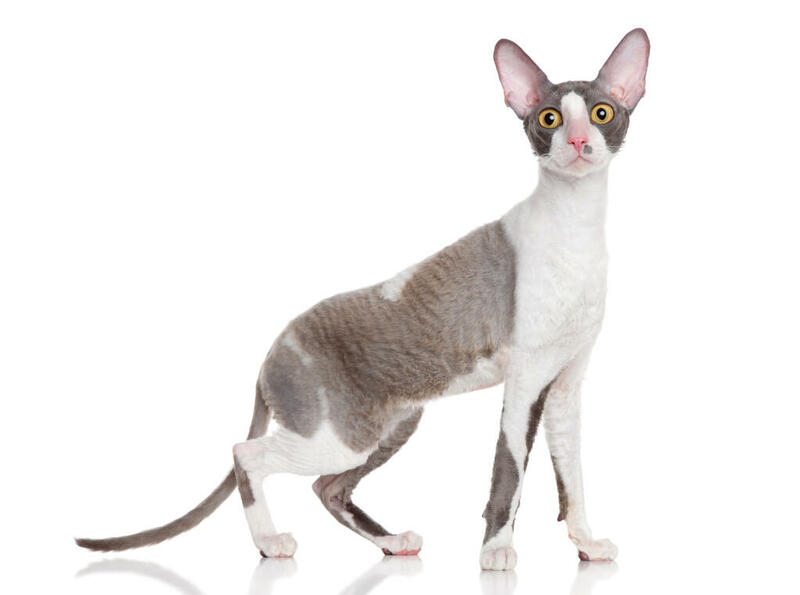 Many Cornish Rex owners report that their cat is highly intelligent but at the same time retains a kitten like playfulness well into adulthood. They will always be up for a game and love to chase after anything you throw for them. 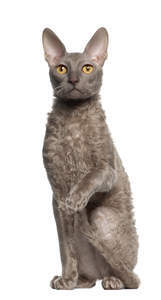 At the same time they make great lap cats who are always up for a cuddle. All self colours and patterns.